Virtuix Omni, the Houston-born virtual gaming company, has a special affinity for crowdfunding. On its way to its second appearance at the International Consumer Electronics Show in Las Vegas this week, founder and CEO Jan Goetgeluk says the company—now based in Austin, TX—is considering using newly passed Jobs Act investing rules to solicit money from everyday investors. Last year, the SEC changed one of its rules, Regulation A, to allow companies to crowdfund up to $50 million from investors across states, an amount that some observers liken to a “mini-IPO.” Before the changes, the rule capped these investments at $5 million and required companies to spend the time and money to register its offering in each state where it planned to raise money. 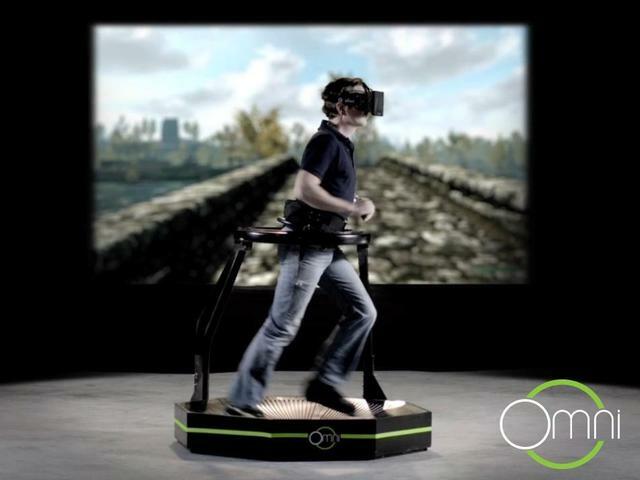 Virtuix got its start in 2013 through a Kickstarter campaign in which it raised $1.1 million and pre-sold more than 3,500 of its Omni treadmills, which, when paired with an Oculus Rift reality headset, enables players to control their characters’ movements by walking, running, jumping, and turning on a platform. In the meantime, Virtuix is putting down roots in Austin where it relocated in July from Houston, where Goetgeluk founded the company at his kitchen table in 2013. The main reason for the move? Engineering talent, he says.